Learn how to develop native English pronunciation through grammar mastery in episode 7 of the Power Learning Podcast! In Episode 7, we finish month 4 of the fluency journey of our Master English Conversation Scholarship Contest winners, and discuss the practice gap. You’ll also learn why being humble can help you close the gap between practice and real speaking situations. Well, hello and welcome to Episode 7 of the EnglishAnyone.com Power Learning Podcast. I really like saying that, trying to mess with my voice, the Power Learning Podcast. It’s so fun to play with these microphones. You should really listen with – put your headphones on – listen with your headphones and you’ll have a much more interesting experience. It feels like you’re actually sitting in the room with me. So close your eyes, sit back and enjoy listening to my beautiful voice as well as the other four winners from the Master English Conversation Scholarship. So I want to give, uh, first before we begin anything else, I want to give a fantastic congratulations to Bhaskar, Yen, Carlos and Jaroslava for finishing four months of Master English Conversation. I’m really excited, uh, that they not only won four months ago and I had to choose between many, many different learners in order for, uh, for being able to pick just four students that would win a year of training with Master English Conversation for free. And I’m really excited for the four winners because they really have continued to practice and they really work hard and they’re actually showing that it’s possible if you start learning with the program and then continue to work with it and continue to improve and actually practice every day. Really, getting fluent in English, again, I, I say this to students all the time, but you don’t have to be studying for 20 hours a day. You really have to just study the right way, get good learning materials with the right help and then all you have to do is focus a little bit each day on improving. Maybe at least an hour a day, if you can do it. If not, it’s okay, but you will get better the more you practice. So, if you can find any time, maybe even five minutes in the morning and then 20 minutes at lunch and while you’re in your car or while you’re riding your bicycle, anything like that. So take your hour a day and split it up into as many different small pieces as you like in order to get fluent. Well, in today’s episode of the Power Learning Podcast, I will continue with the tips as we get from, again, starting out with the very, very kind of more general and then working into the more specific, as we get into tips that kind of zero in on what’s appropriate for students to as they get fluent and what’s really helpful for focusing on, as students are trying to get fluent. So, like the previous three episodes of the Power Learning Podcast, I will let our four winners introduce themselves, tell you, uh, what they think about the new Master English Conversation Version 2.0 because they had a chance to try it. And I’m really excited to report that, wow, they, they really impressed me with what they were able to learn and they really enjoyed the program. So I’m really excited about the changes I made to the program and I’m really a strong believer in video learning. So the previous Master English Conversation Version 1.0, it had video lessons, but it also was primarily audio. So I really wanted to, you know, kind of work a lot harder and make it easier for students. So I had to produce videos in order to do that. Uh, but it worked out really well and, we’re getting lots of new subscribers and people are really excited about the program. So I’ll let the four winners introduce themselves and they can talk about what they think about the program, but also what they learned and what they did for their Special Mission Homework Assignment for the previous month. Here they are. Yen:	Hello, everyone. I am Yen and I’m a student of Master English Conversation. Well, to be honest, I’ve been in the program for nearly four months, but I think I like this month lesson most. The lessons are fantastic. Learning through video inspired me to learn more than just listening and helped me see the language much more clearly. It’s so much easier for me to understand and remember the lessons very quickly. Since grammar, pronunciation and phrases has been in, introduced in the first three videos, I understand the final conversation very clearly and truly comprehended. This month’s lesson helped me improve a lot and I appreciate it. I really wanted to make a carrot cake, just like you and your friend did in the video, but the cream cheese is a tough thing to come by in Vietnam and it’s also very expensive, especially for a student like me. So, instead of picking cake, I learned to make a simple meal. Actually, I’m not such a good cook, but if I had to cook, the thing I would choose is gimbap or we can call it Korean sushi. I’m a big fan of Korean food. I have, I have seen gimbap on the [inaudible 05:16] many times and always wanted to taste it. When I got the homework, I immediately came up with the idea of making gimbap. Then I went online and found a cooking show teaching how to make gimbap in English. After watching the video, I thought that it wasn’t too difficult to do. In fact, it quite easy. For the recipe, I just needed seaweed laver, carrot, cucumber [inaudible 05:46] and sushi mat. All I have to do is cut all the ingredients into a half-centimeter thin strips, cook rice and then roll gimbap. After committing these steps, I cut the roll into thumb-size pieces and everything was done. Because having no experience, my first roll was not beautiful at all, but I found it much easier with the second roll. Finally, I had my sister taste it and she said that it was really good. I will continue to make gimbap for my grandparents and my friends. Hopefully, they will like it. This is all what I learnt and did for the homework. Thank you for listening. Good bye. Bhaskar:	Hey, friends. It’s been a month. How have you been? I hope you are doing great. It’s been four months since I started EnglishAnyone program. I’m glad to tell that I come a long way in my English since starting this course. Before going to further talk about the new version Master English Conversation Version 2.0, I want to congratulate Drew for completing two years in starting EnglishAnyone. 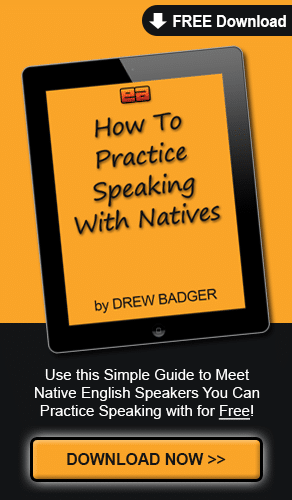 And my sincere thanks to Drew for the, his [inaudible 07:13] to make English learners fluent by giving them great tapes and wonderful lessons. I really enjoy studying the new Version 2.0 and I learned a, a lot of things from this. I hope you all enjoyed the preview of the new version on YouTube. If you haven’t watched this yet, I recommend you watch it. And I am 100% sure you’ll like that and you never get confused and, about the uses between how, make, get, and let in the future. This course included four lessons and the remaining lessons are Phrase Builder, Fluency Corner and Master Conversation. And this month’s topic is food and baking. These lessons covered phrasal verbs about this month’s topic, vocabulary, basic and necessary stuff that we need in daily English and an interesting native English conversation. Besides English learning, I got a lot of fun, watching Master Conversation lesson this month. It’s a good start with the new Version 2.0. And the more good news is Drew is going to keep the Question Everything lesson in the new version also. That’s really a good news because, uh, this lesson will help us speak better and help us learn basic conversation stuff. Uh, from the, this, from this month, he’s going to, yeah, this bonus lesson set that’s really a good news. In the Master Conversation video, Richard and Drew made a carrot cake. And only from this lesson itself, I learned a bunch of new vocabulary about cooking. Actually, I don’t really enjoy cooking that much. My abilities in cooking are very, very few. What I do are only I can cook rice, make coffee and tea and, uh, maybe do a [inaudible 09:32] curry with lentils. Actually, I haven’t had the chance to do any cooking until now. But my belief is that nowadays, with all the recipes available on the Internet, whenever the need arises, I could do my own cooking. So I don’t care about it. For this month’s Special Mission Homework Assignment Drew had us watch at least one cooking show that’s interesting by getting involved, talking along with the people on the show. And I had to select one item that will like and try to make it by myself or with the help of others. For this month’s assignment, I watched a few cooking shows about making desserts by Martha Stewart and [inaudible 10:28]. And I tried to speak along with them and I finally watched the cooking show by an Indian about making bread potato rolls. That’s an appetizer and I decided to make it. Luckily, my sister visited my home a couple days back and I got my sister to help me in this task. I translated the entire recipe to her in our native language. We finally started cooking with all the ingredients ready and completed the task in one hour. They’re delicious. All our family members had them in teatime. I tried to photograph the stuff, but my sister didn’t let me take a snap. That’s what I did for this month’s assignment. Thank you, guys. Bye-bye. Jaroslava:	Hi. Hello. This is Jaroslava speaking. I have been studying this lesson set Master English Conversation 2.0 for the past month. I am very surprised that English grammar and rules can be explained interesting funny and I understand. Now I can use grammar from new lesson set in my conversation, correct, quickly, without hesitation. It makes me happy. I can’t believe it myself. I enjoy grammar lessons. You know, I really don’t like any grammar or something like that. Maybe I’ll speak grammatical correct in future. What seems to be the problem for me with new lesson set is Drew has me study each, each lessons for a week, step by step. But truth be told, it’s very difficult for me because Drew’s lessons are so much interesting, I can’t resist to watch all lesson set all at once. This is going to be hard at first, but I am certain that follow Drew’s advices is necessary for my success. All lesson set, uh, prepare me to real English conversation. A couple days ago, I was listening to English radio and I understand 75%. Fascinating. In January, it’s four months ago, I didn’t understand almost anything. I wish to understand everything. Conversation with Richard is great. I am interested in cooking. That’s my favorite topic. My family had me do my homework. I made an American carrot cake. I was enjoyed making this cake, uh, with Drew and Richard. My carrot cake taste delicious for me, my husband and Martin, but I am sorry to have to say it that Mike didn’t like my carrot cake. Mike let me try to bake other cake by English recipe. I watched www.allrecipes.com. My boys have a sweet tooth. I, my mother and mother-in-law make dessert for them. I am a bit worried about them, you know. I care about their wellbeing. For tonightly, they eat up all your veggies and meat. My suggest is cut down on sweet, but eating food they like is important too, isn’t it? Master English Conversation 1.0 was good, but Master English Conversation Version 2.0 is amazing. Carlos:	Hey, guys. Carlos here. I want to make this audio with my thoughts about the new version of EnglishAnyone. I really think Drew is a very good teacher and he’s a good person too. I want to say that EnglishAnyone 2.0 is a real improvement of EnglishAnyone. The page, in fact, is really good. The lessons are really good too. I want to say that Drew is making a good, uh, impressive efforts on this page and his work. You can see it on the, on the videos, on YouTube and many other things. Well, I must say, what I’ve learned this month is something about grammar that is, it could seem easy, but it’s not because if you think about it, the basic are, are the key to improvement. Well, I want to say that what I’ve learned this month is very easy, but it’s not that easy to apply because most of the time, we are making the same mistake, which were to confuse the tenses. And Drew is always encouraging us to change the way we learn, how we do that. Well, we do that, just making sentences in the three tenses. It is very easy. It is, actually, but practice, if you practice and practice, you will improve it. I assure you. Drew assure you. And for that reason, I learn that the most important thing I learn this month was that make different sentences in the three tenses that exist. Okay, and the other thing I learned other phrases. I always learn phrases every month with Drew. About what? About this Phrase [Helper 16:54]. Phrase [Helper] are very important. Why? Because you can do many senses, many sentences easier with Phrase [Helper]. Easy words, two words and you make a phrase of it that can replace a difficult word. For example, good, bad, go down, [good 17:18] out are very easy, but apply them is not. You can be practicing all the time. All the time where you are practicing, you will improve it. You will memorize them. You will say it the next time much easier. Well, I really liked this guy, Richard. He’s a good, really a funny guy. I learned something about him this month. I want to say that carrot, carrot cake, I wish I was, I was a good cook, but I’m not. I like cooking, but I don’t cook very often. And I want to say that the recipe that Drew and Richard is very interesting. Well, I like to taste the carrot cake. If I have the opportunity to make it, I will. Well, for my mission, for my homework assignment for this month was pretty easy, but I was tough of the same time because you don’t have, uh, that, um, fluency for that experience to understand when you are watching videos and, for that reason, I was watching Martha Stewart. Drew recommend us, recommended us and I was watching this video about this new technique or method that you can do a breath, bread easy in your home, was looking, watching this video about bread, which is made or was developed, but, uh developed, but I’m chuffed with Jim, uh, the name is Jim. I can’t remember the last name, but his was very good because you can do it, uh, you can do a bread in your home, uh, without knead. Well, that’s my, well that’s basically is, but it was my homework, my mission homework assignment for this month. I wish I could send you, uh, the link for the video, but uh, you can, you can search for it and YouTube is very easy to find medias about Martha Stewart. Um, but guys, I like to talk every time I, I, I can. Bye and see you next time. And I’m back. It was really great to listen to them and even the, kind of as a teacher, you feel a special kind of pride when you teach something to someone and then they use it perfectly sometime in the future, if you get to, get a chance to see that. And so I had examples listening to the four, uh, contest winners, all of them using the vocabulary that they learned in the lessons. It really gets into their head and it sticks using the video. So they can see the language. It’s really so important. I know there are lots of different kinds of learners out there. Some people prefer to listen more or to move around while they learn. These things are all fine, but many of the people that are using Master English Conversation are very, very excited that it’s all about video. So, if you are a visual learner, this is someone who learns best by seeing something instead of just hearing it, which is, you know, usually most people. Always being able to see is a good idea. I like my eyes and, hopefully, you like yours. But being able to see the lessons has really improved the program and seeing that they’re able to speak more confidently and remember what they’re learning, I’m really, really excited about that. So the test for me, I can kind of introduce something to students, but if they can take that and then actually use it in conversations when they’re speaking with other people or when they’re writing or anything like that, if they can use what they’re learning confidently, then I become a very proud and happy teacher. Well, we will continue with a tip that’s for them, but also for you listening out there, for anyone that really wants to improve their English. Again, if you think back to what we began at the beginning of the year, we’re going from the more general, this is really thinking about your goals and what you want and getting into more specific things, like specific skills, like listening and grammar and pronunciation and things like that. Last month, I talked about the importance of focusing on grammar over pronunciation. So it’s really more important to master pronunciation after you master grammar because, if you’re speaking and you really can’t actually say what you want to say, even though you can use a few big words in your conversations or your writing, then you’re really — it’s kind of a backwards way of learning. And it’s the opposite way and I know a lot of people do that because we’re not children anymore. We want to move beyond the basic things. We want to run before we can, before we can walk or before we can crawl, as we talk about. It’s kind of a regular thing in English, and I’m sure in many other languages as well. But I caution you, I really want people to think about this. I really want you to focus on the basics, and I’m always talking about the basics and I will get into that in today’s episode, as I’m talking about the tip for this month. Well, let’s get into it. All right. I’ve been talking with many, many students in for learning with, uh, EnglishAnyone.com and Master English Conversation and just other English learners that I meet. I meet so many students who are very, very intelligent people and there’s a lot of things that happen to people kind of if you’re especially an intelligent person, like you probably are and like many people you know are. These are people that, you know, you already speak one language. Maybe you speak Arabic or Chinese or Vietnamese or Portuguese, whatever your language happens to be, and you’re also learning another language. So this is something that usually makes people much more intelligent. If you can speak more than one language, you have to train your brain harder and it makes you more intelligent. 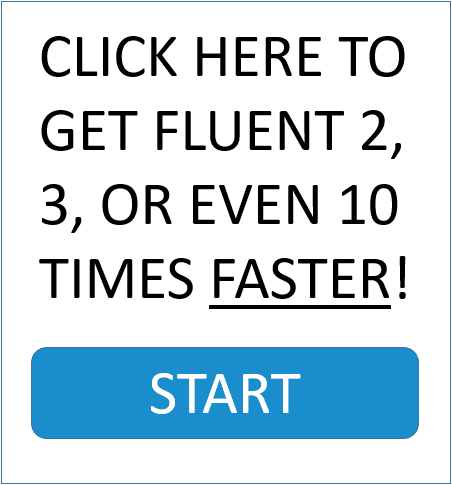 So most of the people that are learning with EnglishAnyone.com are people that already understand mostly, uh, quite a bit of the textbook English and maybe some conversational English that you would see in movies. So maybe you, listening to this right now, maybe you’re not a confident speaker, but you can understand a lot of what I’m saying right now. And I really want to talk about that in this episode, about the, kind of the, the problem with being an intelligent learner. And I’m not the most intelligent person. I’m actually happy that I’m not so intelligent because the problem that a lot of people experience that are intelligent is they, they want to move to the next step before they really master the previous one. And it might work out for a few steps, but it’s really going to cause you problems down the road or in the future, if you don’t master things early on. And it can be an issue of pride where you think, well, I’m intelligent so I should be able to understand this. And I have conversations with students and these can be quite strong conversations when I try to explain something to students and sometimes they don’t want to listen. I know a lot of times people will ask me advice and I’ll tell them what to do and they don’t actually listen to it. It’s really interesting. And I know I’ve done the same thing when I’m younger, but one of the best ways to succeed at whatever it is you want to do is to trust the people that are succeeding at that thing and really try to follow their advice. It may not work perfectly for you, but in general, things should work out. So, for this episode, the really important thing I want you to remember is I really want you to kind of pretend that you’re dumb. I know this sounds really weird. Even if you’re a genius, if you’re very smart, I want you to think like a dumb person. Think like, and I, I know this sounds kind of bad. Maybe I sound like a bad person by saying this, but really, what I want you to do is kind of imagine that you are the kind of person that it’s like you, you have to really go through the basics and you actually enjoy doing that because you understand and this is very, very important, but you understand the difference between how you practice and then what you actually do in a conversation. So a lot of intelligent people, they understand some grammar. They may understand how something works, but then they get really confused because they are not using it confidently when they actually speak. And if this is a problem for you, then you are, uh, probably an intelligent person and you’re wondering why this happens. Why can’t you think properly? You’re, you’re able to do difficult math maybe or you’re able to talk in maybe one or two other languages, but for some reason, this just becomes a, uh, a very big problem and it, it’s, it, you know, it can be a difficult thing to overcome for people. But I think a lot of that comes from being intelligent and the intelligence thing, this is like a serious problem for people. So I like to be dumb, me personally. Uh, I like to ask a lot of questions. If I don’t understand exactly what’s happening, I like to ask questions. And maybe I look stupid when I do that. maybe I’m asking questions of people and I don’t really understand how something works and maybe other people will laugh at me and think that’s a kind of silly question or a stupid question, but I don’t really care. And I’m too dumb to know the difference. So, if I’m really smart, the really smart people are the ones that don’t want to make mistakes. They don’t want to try to ask for help from other people or they, they really want to show that they are intelligent so it’s difficult for them to practice. And the other difficult thing that a lot of people that are very intelligent have, and I mentioned this earlier, is that they don’t want to really master the basics before actually going onto more difficult things. I really want you to understand that you should have, even though there’s, there’s a difference between how you practice and reading and doing things by yourself in your own head, like talking to myself in English or, in my case, Japanese, when I do things and when I actually am speaking with people, there, there is a, an actual difference there. But if you can close that gap, if you can make it more similar then that’s really what’s going to help you if you want to become a fantastic speaker. Now, what I mean by this is you really have to pretend like even practicing when you’re talking to yourself or you’re talking in front of a mirror or any other situation like that, if you’re writing things down, you have to pretend like it’s a real situation because that’s the only way to prepare yourself and get ready for the actual conversations that you’ll be having. So, if you can visualize, and this means to close your eyes and imagine what something really looks like, even if I am, right now, I am talking, I am sitting in an empty room and I am talking into these two microphones and I’m talking with you right now, but I imagine that you are sitting there with me. And I can try to imagine your face and your eyes and you are looking at me and maybe something you laugh at or something you think sounds a little bit weird and you give me a, maybe a weird look or something like that. But as I’m talking with you, I think about all those things. So even though you’re not actually here with me, I imagine you here and that’s how I’m able to talk with you a little bit more. I’m able to move around and, and actually really pretend like that’s happening. It’s, it’s actually a situation like you and I are sitting in this room together and we are talking. So I want you to think about that as you practice. Last month, we talked about mastering grammar. This month, I really want you to focus on your mindset. This is the way you think, mindset. M-I-N-D-S-E-T, your mindset. Your mindset determines everything. If you have a positive outlook or a positive mindset then, usually, positive things will happen to you. If you have a negative mindset then obviously negative things will start happening to you. And it’s not that anything positive or negative is happening to you, it’s all in how you look at that situation. So, really, what I want you to do for this month is to really focus on mastering the basics, mastering individual things about grammar, even if you think they are basic because there is a difference between knowing something and actually applying it or using it confidently. And Carlos talked about this when he was talking about the lessons. The new Master English Conversation lessons, I call them deceptively simple. Deceptively simple. So, to deceive someone means to trick someone. So the lessons are deceptively simple because they look really simple and you can look at the grammar and understand, “Ah, okay. I understand how this works.” But remember there’s a, a gap that you need to close. There’s a distance between knowing what the grammar is and actually using it confidently. So last month, we were talking about improving your grammar and this month, I want you to continue to work on your grammar, but also work on your mindset. So that way, even though you are practicing something, you are closing that gap between what you know and what you can actually apply. And the only way to do that is to take it seriously. Even though something looks simple, you haven’t mastered it yet until you can really use it confidently. So that’s what I teach in Master English Conversation 2.0 and what I always teach in my lessons. There’s a difference between knowing something and then actually applying it. But if you close that gap, then you can become a great speaker much faster. So that’s something I really want you to think about. I want you to be humble. Even if something is simple, I want you to master it and I want you to study it as if it’s the real thing because native English speakers use Basic English and more complex English when they’re having regular conversations. If you can’t master the basics, then you’re not going to be able to build the confidence to do more difficult things. You can’t just see something in your mind and then think it will happen for you. Like let’s say I’m a basketball player and I understand how to shoot a basketball and I don’t actually practice it because, well, it, it seems kind of simple and I don’t really need to practice that. But, in the middle of a game, because I didn’t practice, I do awfully at it. And I think to myself, “Why am I not a very good basketball player? I understand how to shoot a basket, but I didn’t actually shoot any baskets.” So again, this is that gap and I, I know I’m repeating myself because it’s such an important thing to remember. This month, I want you to get humble. I want you to really focus on closing that gap. Think about what you want to learn and then, every time you study something, even if it’s basic, I really want you to focus on it and imagine it’s a real thing and really try hard, especially for the basic things. Well, that’s it for this month. I really want to leave you with that, to go out this month, especially practice, remain humble, change your mindset and really welcome the basics because those are the things that are going to help you improve the most. And as you really get better at those and use the basic things confidently in conversations, that’s when you’re going to get more confidence and more motivation to study more difficult things, to get out and meet new people and everything will change from that. Well, have an excellent day and I will see you next time with another Power Learning Podcast episode. Have an excellent day. Bye bye.